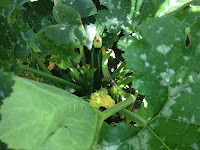 For the first time, this Summer, I have been growing Zucchini. I can't believe I've never grown it before. 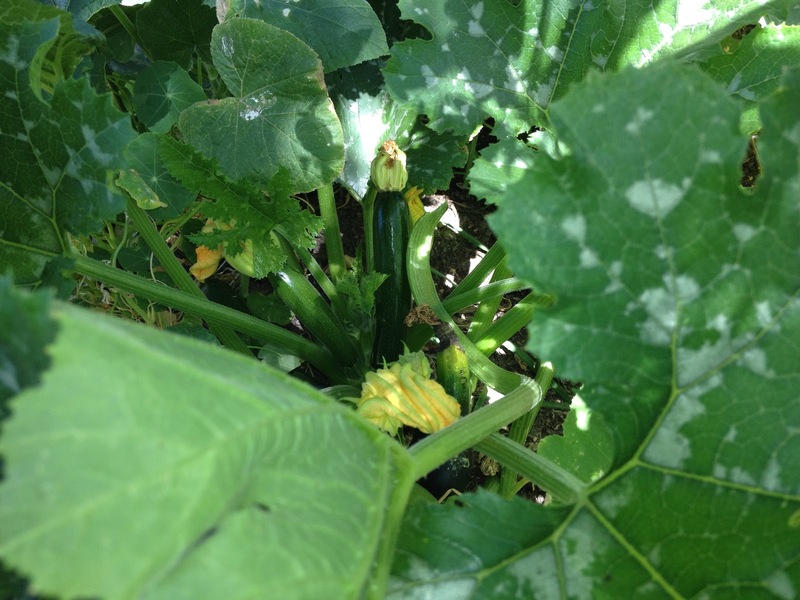 Without much effort on my part, the plants have grown lush and green, and provided a bumper harvest of zucchinis that just keeps giving. The vegetables seem to grow centimetres overnight. Despite some, which have become bulbous and hard, most are delicious. Luckily I have been craving zucchini many lunch and dinner times. This has been a revelation for me. 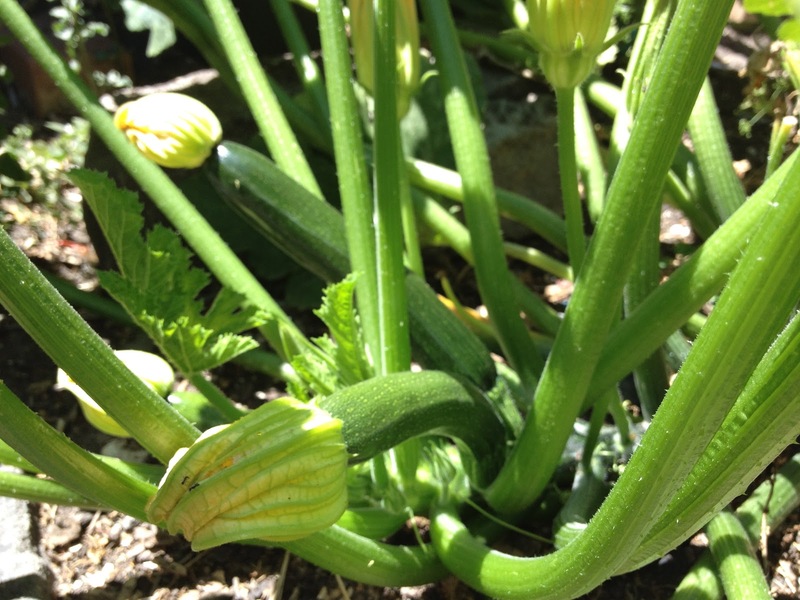 Prior to the last year, I have to admit I have never considered eating zucchini raw. Now I can't believe what I've been missing for so long. 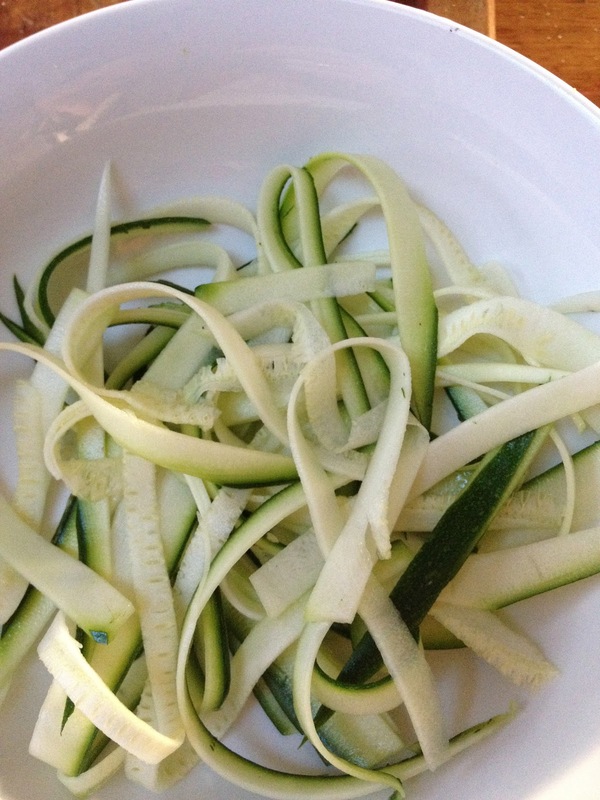 Raw grated zucchini is delicious just with just a pinch of salt and pepper, lemon juice, olive oil and shredded mint. Also, whenever I am making a 'thrown together' salad for my lunch, I grate in about half a zucchini. This is a nifty little trick to decrease carb content and increase nutrient content of pasta meals. It's very easy to make spaghetti like shapes from zucchini to have in place of traditional pasta. Use a mandolin if you have one, otherwise using a vegetable peeler, (or I find a cheese slicer works really well), slice zucchini into thin wide strips. Then pile the strips on top of each other and cut into thin strips. They can either be used raw, or lightly fried in oil and garlic before placing the pasta sauce on top. Finely slice zucchini and add to a pan with olive oil and 2 cloves of crushed garlic, and salt and pepper. Add a chopped handful of mint and chilli if desired. Cook until soft. 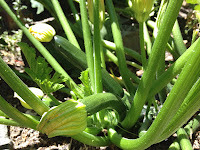 As you can see, not really recipes, but just some ideas of how to enjoy abundant zucchini.